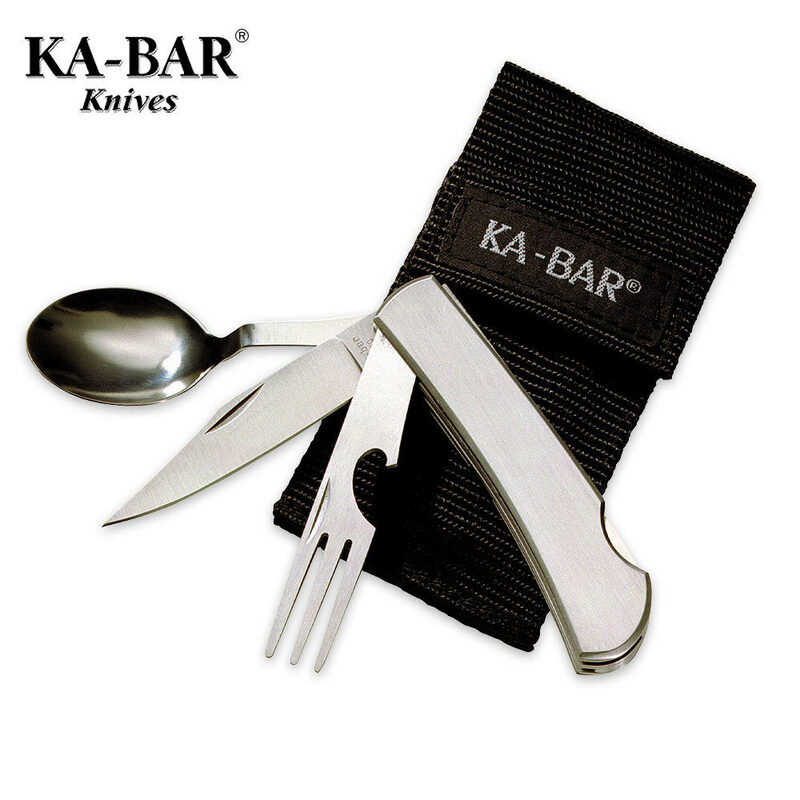 Portable fork, knife and spoon with nylon carrying case is designed for on the go or outdoor dining. 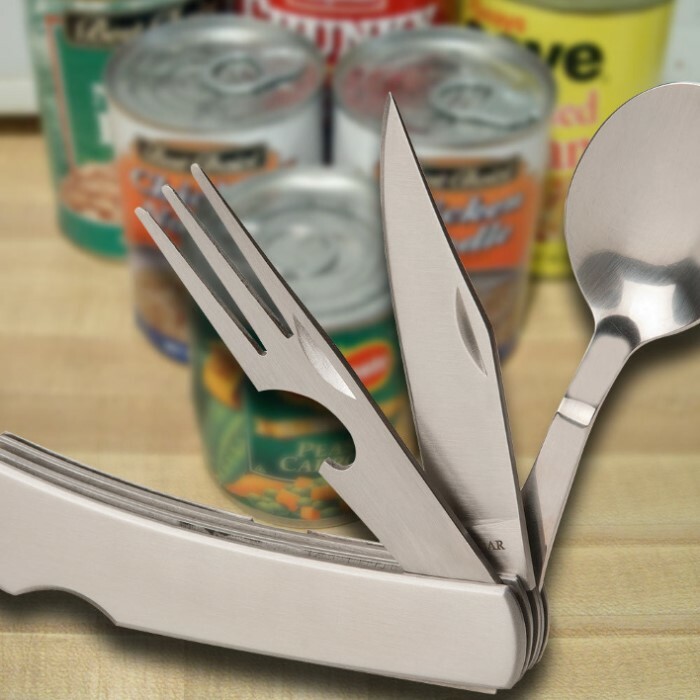 All three utensils slide apart and back together for an all-in-one dining kit. Just toss in backpack or glove compartment. 3 3/4" closed length, 7" overall. Constructed from 420J2 stainless steel. Other models' wood or bone handles look nice, but the all-stainless steel construction of the KA-BAR Hobo means it's one of the few that is dishwasher safe. A 1/2-drop of light mineral oil after dishwashing keeps the hinges happy. I use mine daily at work...excellent quality overall. Bought two of these items, one for myself and one to give as a gift. I was very please with the quality of the utensils, very sturdy, and will get used a lot I am sure. I liked that the over all length when folded, as well the ease with which utensils come apart making it easy to use as well as for washing after using.